Circular(?) 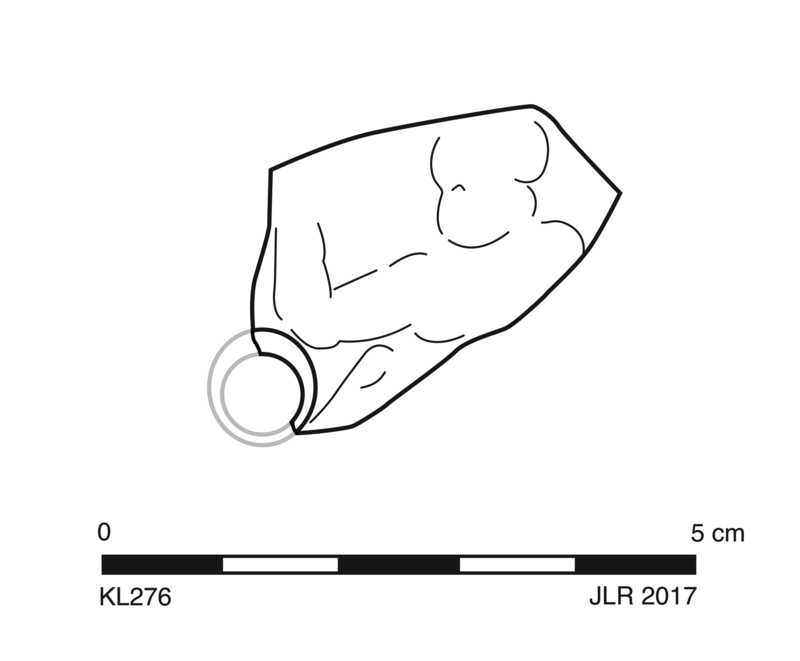 discus has filling hole left center and relief of thick-limbed figure (Eros?) frontal with right arm flexed at elbow. Uncertain type. 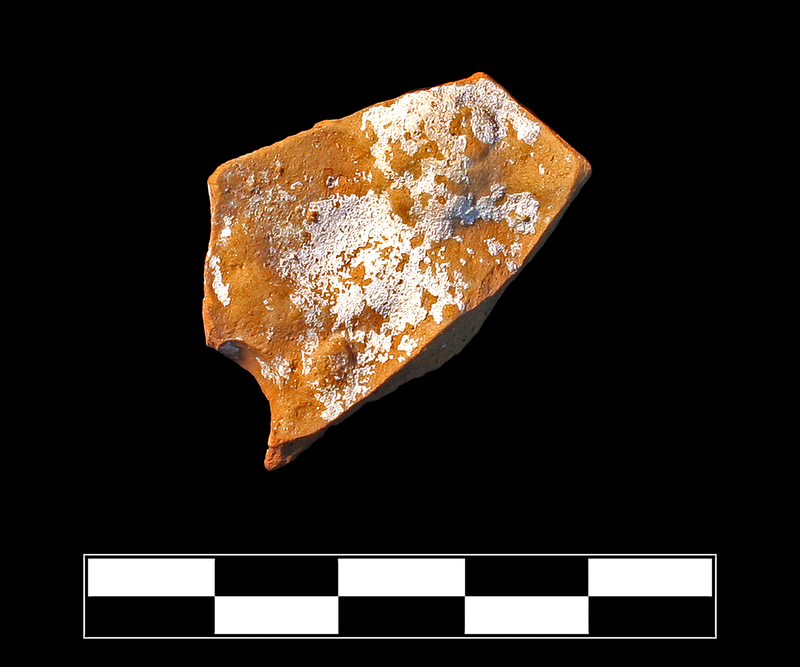 Early/Middle Roman Corinthian lamp fabric: reddish with brownish hue, fine, somewhat hard with platy fracture. One sherd preserves small part of discus. Sparse, slight abrasion around edges; slight, extensive film of encrustation on all sides.